It was a year ago I first visited Talicud island. It used to be "remote" but faster & bigger outrigger boats have made the large island more accessible from Davao City's Sta. Ana wharf. However, going to a part of Talicud not serviced by the scheduled boats is where the difficult part remains, in this case going to Babusanta beach resort. If it was just me traveling, I could just have gone the same way I did last year and hop on a habal-habal to this beach. But I'm traveling with family members. If money is not an issue, one can of course merely charter a whole boat for 8,000 pesos and go where your heart so desires in Talicud. I had no plan of paying an arm and a leg for a banca ride. Instead, I sought another way of getting into Babusanta. And there is, one that involves multiple transfers. We're driving our car anyway so I might as well let my family experience some kind of adventurous journey. Malipano island and the city of Davao in the far distance. First, we drove our car to Sasa and into a barge that took us about 10 minutes to get into Babak on Samal island, officially a barangay of IGACOS - short for Island Garden City of Samal. (Alternatively, one can also hop on the Island City Express Bus bound for Samal that also uses the same barge). We drove in the hilly interior of the island, passing by the large community of Peñaplata until we reached Kaputian, all part of IGACOS. The trip over excellent paved roads took about 45 minutes. 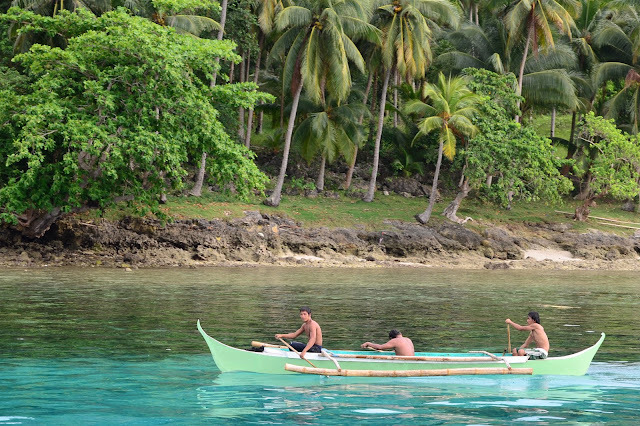 In Kaputian, we asked around for a banca and was directed to a cove next to Kaputian beach resort. A guy with a clean, newly-painted banca agreed for a round trip to Babusanta beach resort for 1,000 pesos. The trip took 30 minutes. We made it to our beach destination just in time for lunch. Given that it was a Sunday, I was surprised to find only one other group there. Babusanta is not by all means a high-end beach resort. It's a very humble collection of open nipa cottages meant for day trips - just the way I like it, rough on the edges but glinting like a little diamond. We rented ours from the caretaker for 300 pesos. Besides having no entrance fee, there's no corkage fee for all the food and drinks we bought. The caretaker offered fresh buko for 35 pesos each. There's plenty of coconut trees, after all. The white sand beach is wide (though littered with broken dead corals) leading to the clear waters of Davao Gulf. A distant view of Mt. Apo looms right in front. There's another beach resort adjacent to Babusanta called Dayang Resort and they do have cottages meant for overnight stays. We were there only for the day so before the waves start getting bigger (and they usually do late in the afternoon), our boatman brought us back to Kaputian in Samal island. From there, we drove our car back to Babak, back into the barge and finally into Davao City's Sasa wharf. Given that most beach-savvy travelers in the Philippines have their own benchmark when it comes to quality, I would say Babusanta is only for those who have seen pretty much everything in Davao and wants something off the beaten path. Talicud island - and Babusanta for that matter - is laid back, uncrowded, unspoilt. I hope it stays that way for my next return. Whatta gem! Just the way I like it, virgin-ish. wow the water is fantastic. how is the weather, is it hotter than its supposed to be. parang kayo lang ang tao sa beach! woot, beach time in your hometown. i was about to go here too, kaso bumagyo at bumaha on my day of flight. di ako natuloy. sayang. don't we all love something like this? It was hot, especially between 1-2 PM, not unusual for a summer day in southern Philippines. naging mas espesyal nga for me and my family that it was quiet that day. Even the other group left earlier than we did so we ended up having the resort to ourselves. It's summer time and I just went with the flow - everyone else in the house wanted to go to a beach. I just wished I could have brought them all here to El Nido. I'm sure makakarating ka rin ng Davao Chyng! 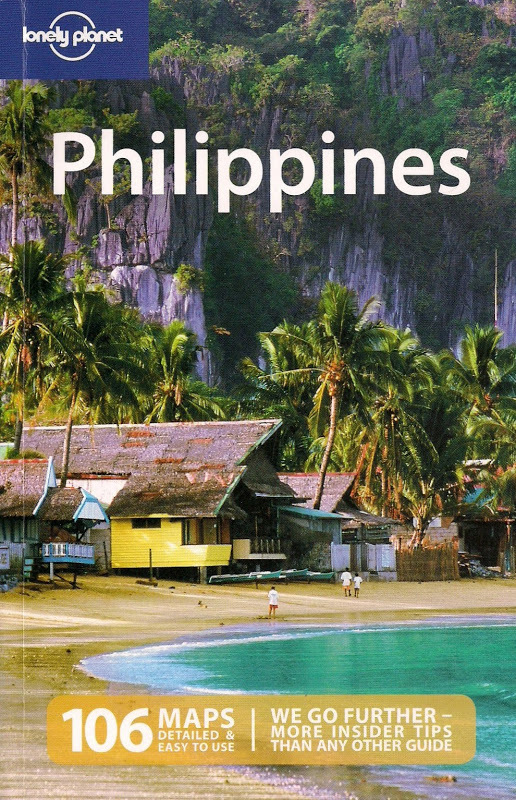 Wonderful place, the water is really very clear and looks like it's very cool...El Nido is one of the country's pride.